During September and for some months beyond I will be trying out these 4 Ordinary skincare products that I recently bought from The Abnormal Beauty Company in the Spitalfields area of London. 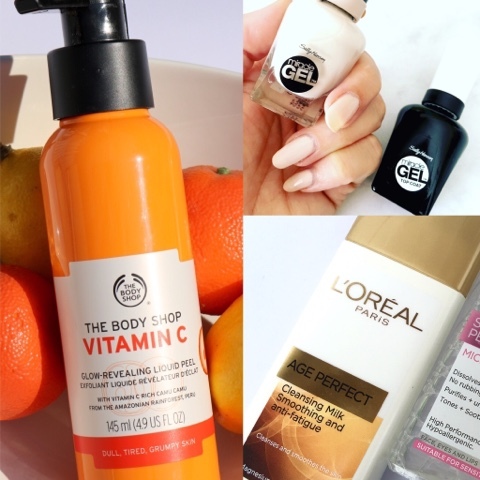 If you didn't read My UK Skin Care Haul then Click Here to find out more about both my haul and this much publicised brand. with 30% alpha hydroxyl acids (glycolic/lactic/tartaric/citric), 2% beta hydroxyl acid (salicylic acid), hyaluronic acid crosspolymer, vitamin b5, black carrot and tasmanian pepperberry. It isn't yet launched in South Africa and was only very recently launched in the UK. During September I will be bringing you my opinions and as you know I love a good volumising and lengthening mascara. so I thought it might be interesting to put it to the test on my mature, normal/dry skin and see if it really does prolong the life of my foundation. 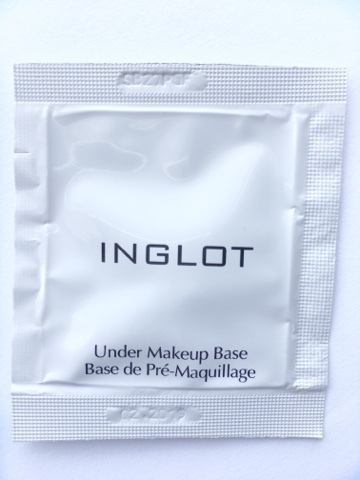 I have no experience with this Polish brand Inglot other than I did review their breathable nail polish several years ago. July and August have certainly flown by and here is my early monthly favourites post. 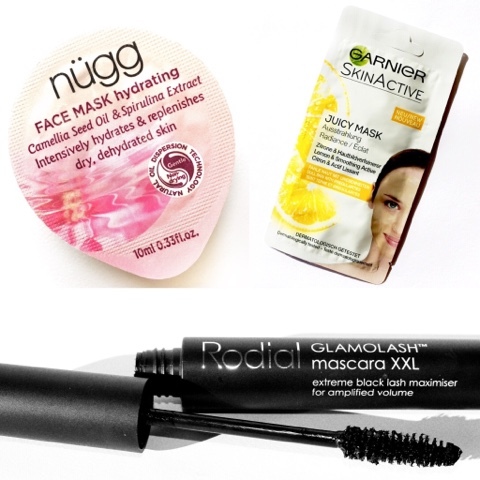 I have been loving these products and they won't break the beauty budget bank either. Just click on the Pink Links to read my full reviews. 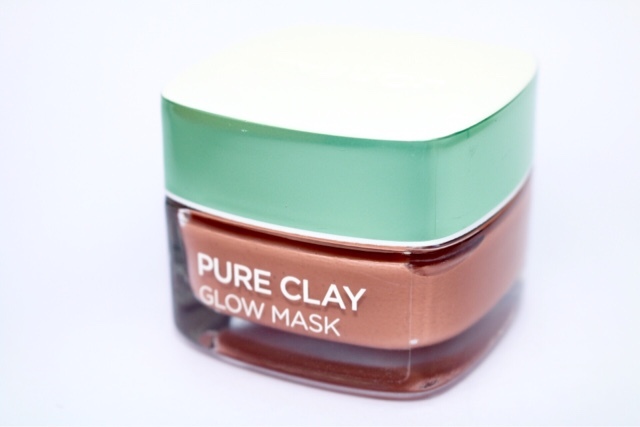 There was so much hype around the New Pure Clay Mask collection from L'Oreal when it launched, some months back that I was, as always, a little sceptical, but scepticism aside I absolutely loved the Glow Mask and it deserves its place in my ever growing mask collection. Hopefully my next 2 "faves" will be available in South Africa very soon, as I rate this budget priced cleanser and toner highly. I really enjoyed this 24hr Lip Colour from Maybelline and have since bought another shade, but this time it's a pink shade. I didn't compile a QPR (Quickie Product Review) post in July, as it was such a busy month for me, but here are my thoughts on 3 products that I have put to the test very recently. After my hectic past few weeks my masking routine was stepped up a little, hence two mask reviews. Pod or sachet masks are becoming increasingly popular as they offer an affordable single dose ideal for masking on the go, but beware as they can work out more expensive in the long term. Unfortunately two of the products are not available here in South Africa. Let me know in the comments box below if you have tried any of these products and what you thought. nügg is an American beauty brand that is imported into South Africa by a local KZN company TrendRevolution and they offer South Africans top quality trending health & beauty products from around the world. This single dose mask has been formulate to boost your skin’s hydration level, erase dry spot and bring comfort, dewiness and plumpness back to dry skin and is perfect as a winter mask. 94% natural or naturally derived ingredients including Camellia Seed Oil, Spirulina Extract and Aloe Juice. This easy to use gel/cream mask can either be removed or you can massage the excess into the skin. My skin did feel comforted and softened, but as always I'm sure on a drier more dehydrated skin you would notice a huge difference with regards to dewiness and plumpness. nügg do have several other mask options and I've spotted a couple I would like to try for future QPR'S. Again these pod packaged masks are so handy for travel and I'm cross with myself that I forgot to take this mask overseas with me recently. just 99p (R17) so I wasn't expecting anything great, but I was pleasantly surprised with this lemon coloured gel mask. This new generation of face mask combining Lemon Extract and Smoothing Active Glycolic Acid in a jelly texture that illuminates for smooth, radiant skin with a healthy glow. Contains no Parabens and is Dermatologically tested. Apply onto a clean dry skin and leave for 5mins and remove with water. I enjoyed the gel texture of this mask, as it was different to the normal masks I go for and it left my skin feeling fresh,smooth and soft. 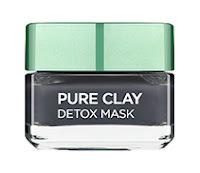 I wouldn't say that this mask is a "Must Have",but for the price and the convenience of the sachet it's well worth having a few on hand for travel. This mascara was a free gift inside the UK Red magazine and I do love a free gift with a magazine and over the years I have received some great products, but sadly this isn't one of them. Valued at £24 (R420) the mascara from this high end skincare brand wasn't bad, but it wasn't great either. This conditioning mascara claims to supercharge volume to the lashes with an intense black colour concentration.Unfortunately I didn't feel it supercharged my lashes, but I do agree with the intense black, which I liked. I felt comfortable with the size of the brush and it didn't clump my lashes when applying. Even though it was long wearing it sadly didn't wow me or offer me anymore than a mascara at half of the price would offer. At the beginning of the year I decided that in 2017 I would focus on finding and testing out a variety of face masks that would be appropriate for my mature skin needs. Any mask that mentions, exfoliating, radiance, glowing, moisturising, hydrating, firming, lifting or Anti-Ageing and it immediately has my attention. So far I have written many reviews and one of my favourite finds has been the Kiehl's Turmeric and Cranberry Seed Energising Radiance Mask which has a price tag of R485, but I may have found a perfect cheaper option in the L'Oreal Pure Glow Clay Mask. 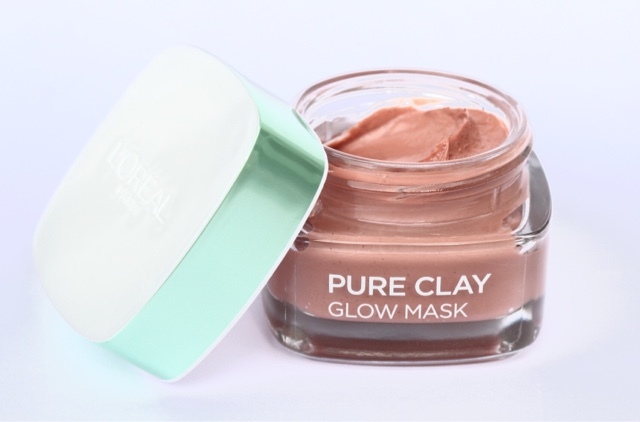 L'Oreal launched a range of 3 Clay masks last year that can be used together, in one masking session, to target and remedy different skin issues. They were heavily advertised and written about at the time and to be honest they didn't really appeal to me until recently, when Dischem had a 3 for 2 promotion on L'Oreal skincare. 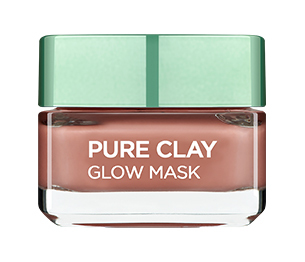 Knowing the two products that I wanted to buy, I opted to give the Pure Glow Clay mask a try as my third. 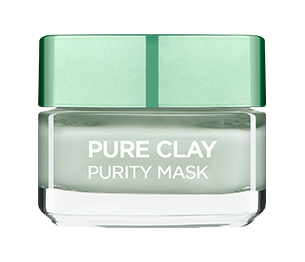 This super-charged pure clay mask enhanced with Red Algae Extract has been formulated to exfoliate and refine your skin in just 10 minutes. 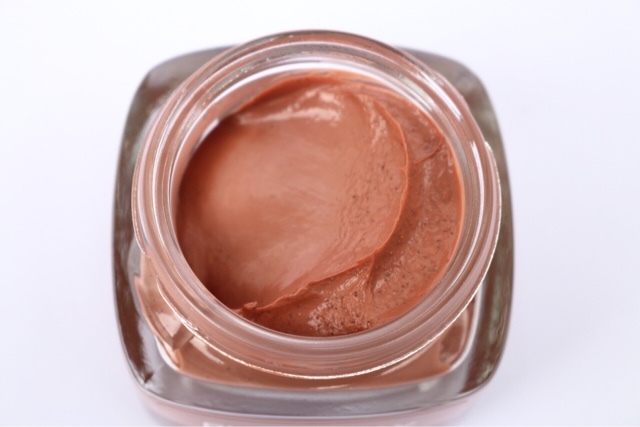 The beaded, creamy textured terracotta coloured mask contains potent pure clays and volcanic rock exfoliate dead skin cells and smooth surface imperfections to reveal a polished, pore-minimized, smooth, glowing, soft and radiant complexion all without drying out the skin. This mask is used in the normal way on clean skin, apply a thin layer all over the face, 2-3 times a week. Avoid the eyes and lips. Leave to dry for 5-10 minutes, then remove with a wet towel or warm water. Follow with your regular day or night cream. 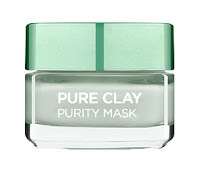 The exfoliation aspect of this mask leans more towards a gentle exfoliation rather than mid to harsh, but the radiance and brightening effect post use, is what I am excited about. My skin felt smooth, radiant and soft and I think this is a great cheaper option to the Kiehl's mask if you're on a tight budget. 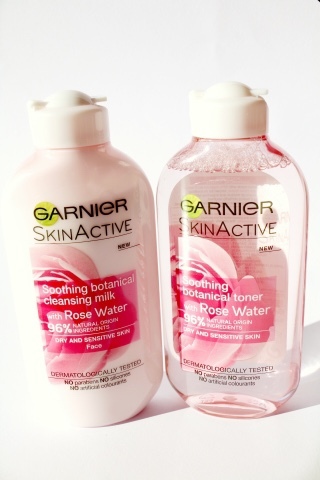 Skin Active Soothing Botanicals with Rose Water. Rose water is a key ingredient that works in harmony in these formulas that deliver powerful yet soothing hydration. The range soothes and hydrates the most sensitive skin types. I have been using the Soothing Cleansing Milk and Soothing Toner for a couple of weeks now and I'm enjoying both of these products. I always double cleanse my skin regardless of whether I have worn make-up that day or not and this cleanser easily removed my make-up. My skin felt comforted,soothed and hydrated, without leaving any oily residue on my skin. 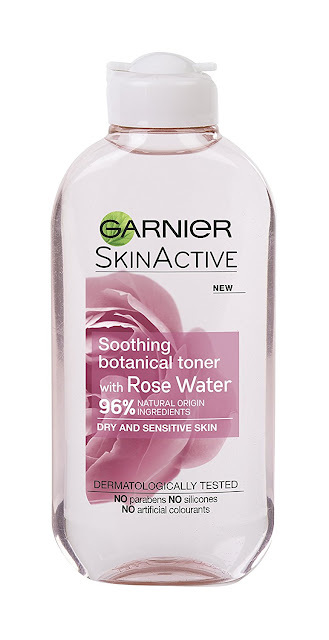 The toning lotion, like the cleanser, has a pleasing, soft delicate Rose Water fragrance. Definitely a duo to consider if you're on tight budget or if you are looking to make some savings in order to invest more into the treatment items e.g.serums, moisturisers etc. 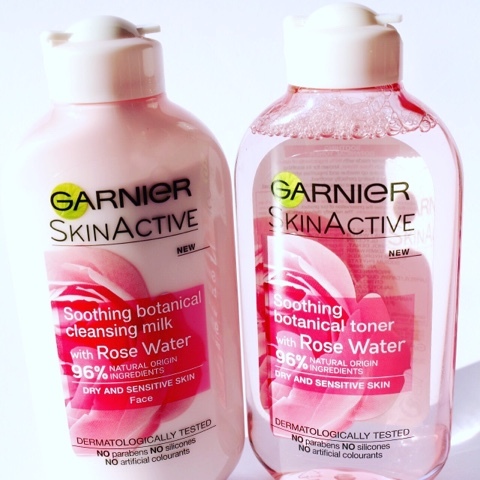 I'm a huge fan of several Garnier cleansing products and in my opinion they have some of the best affordable Micellar Waters on the beauty isles. 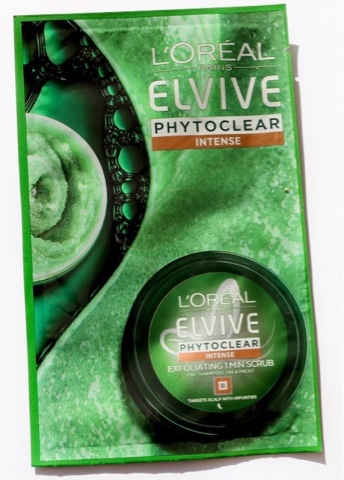 My Sunday Sample this past week was a pre-shampoo exfoliating treatment from Elvive Pytoclear range and it was a free sample in an UK magazine. I was intrigued as I'm a huge fan of exfoliation whether it be your face, body, lips, hands or feet I exfoliate everywhere on a weekly basis.This type of hair product was new to me and it now means that you can literally exfoliate from head to toe. The NEW Elvive Phytoclear is an anti-dandruff ritual with 3 Pure Essential Oils and Octolamine claiming to leave your hair feeling beautifully soft, shiny and flake free. I have never personally suffered from dandruff, but I have gone through phases where my scalp has been tight and irritated for whatever reason. Hair prone to dandruff needs purifying care to not only target visible flakes but to provide comfort to the scalp. However, this can often compromise having beautiful manageable hair. Phytoclear also claim to leave hair feeling nourished and looking full of vitality. For the best results it's recommended that you follow the 3 step anti-dandruff ritual. A pre-shampoo exfoliating treatment for a purifying action. indulgent formulas which leave your hair looking free of visible flakes*. Silicone-free. Scalp lotion to help reduce the appearance of visible flakes. Use twice in a 7 day period. Obviously I have only tried a sample of the prep treatment, the exfoliating scalp scrub, which is applied on wet hair, before shampooing, apply the purifying scrub onto the scalp, section by section, until entirely covered. The sample seemed a really generous size and the pleasant menthol gel/cream product contains visible Argania Spinosa Shell Powder which is responsible for the gentle exfoliating action on the scalp. Unfortunately the sample quantity, just wasn't enough to use over my whole scalp and I found it quite difficult and time consuming to actually wade through my long hair and apply to my scalp and then massage for a minute. I did manage to apply and exfoliate only certain parts of my scalp. (I'm sure it would be much easier if you had shorter hair) and those certain sections of my scalp did feel good after use. I understand that this isn't really going to be very helpful to anyone that is thinking of buying the product. However after this rather unsuccessful mini review I will still try to get this product sent over with my London 'kiddie wink", as with a little more product and allowing more time for the application, I'm sure that this would be a good inclusion in my hair regime, as I feel my scalp would really benefit from a good exfoliation to remove any dryness or build up of hair products and it's definitely one to consider if you do suffer from dandruff. On the very top of my UK shopping list for my recent visit was The Ordinary, yes it was right at the top and its only store in the UK was to be found at Spitalfields Market in London, which only opened in March this year, but their second store has just opened in Covent Garden. Unfortunately I missed their opening by a couple of weeks. 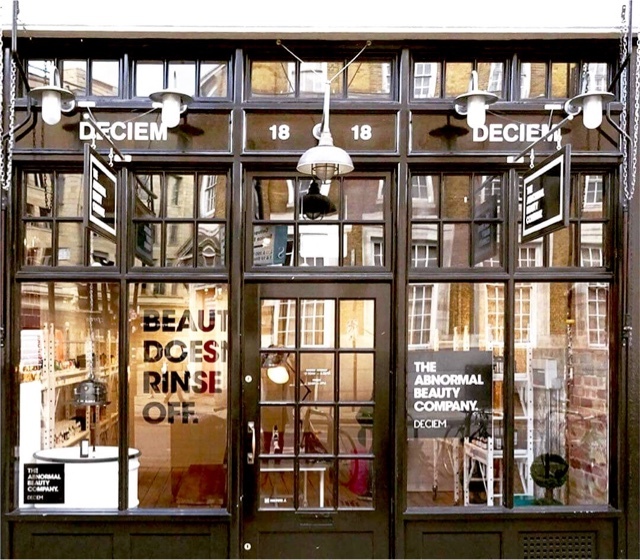 DECIEM | The Abnormal Beauty Company, even though it's a strange name is surprisingly a very apt name, as they create, manufacture and retail their own somewhat obscure, yet serious and highly effective, no frills, skin care ranges all at stripped down prices. Started in 2013 the Canadian company DECIEM is the name of the beauty umbrella and their teams of scientists have created several brands under this umbrella including NIOD, The Ordinary, Hylamide and The Chemistry Brand to name but a few that you may have heard of or maybe not and many more brands are coming soon. This unconventional approach to beauty is not the industry norm and DECIEM have taken those stereotypical norms and literally tipped them on their heads and by all accounts very successfully. Available in many countries around the world, their own shops are small and basic, but functional in their shop fitting, so don't expect any fancy shop and manoeuvring space is tight, as I found out on a busy Saturday morning. Interestingly the Estée Lauder Companies Inc have bought a share in DECIEM just as recently as June this year, so I think this move by ELC speaks volumes about this company, the team of scientists and the products they have formulated and taken to market, all very successfully. I must admit the product offerings from these ranges seem a little daunting and somewhat confusing, as all of the packaging is very basic, somewhat similar and not overly informative, so my advice is to do some research before a visit and do ask a consultant for information and advice on both the brands and products they have to offer. I came away with 4 skincare products from The Ordinary as this brand has had the most positive media coverage and it seemed to be exactly what I was looking for. It would have been 5 products, but after spending quite some time choosing the correct foundations shade, it transpired that I was wasting my time, as it was out of stock at the time, as were many of them. I did have to stop myself though from buying some hair care items from the Stemm brand, but luggage space and weight just didn't allow. I will go more "in depth" with the products the formulations,features and their benefits in my individual product reviews, that will follow over the next few weeks and months. The total price of the products above came to just over £27 which equates to approx R475, which even for us pound poor South Africans is positively cheap! I can't wait to slowly introduce these serums into my skincare regime and report back to you. I found this weeks Sunday Sample in one of the U.K. Magazines that I brought back from my recent trip. 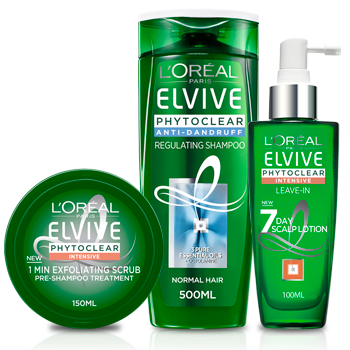 The Elvive Phytoclear range of hair care products have been specifically formulated with pure essential oils to target dandruff, irritated scalp & impurities. As far as I'm aware we don't have this product range available yet in South Africa. 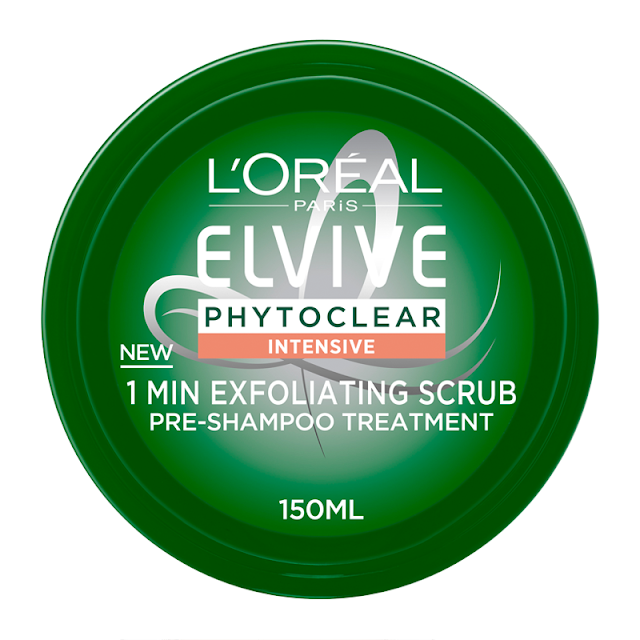 L'Oreal Paris Elvive Phytoclear Intense Anti Dandruff 1 minute Exfoliating Scrub is a scalp exfoliator, something which I have never used before and I love a good exfoliation, so check bacK on Sunday to get my thoughts and opinions on this product. "3 Products I Didn't Finish & Why"
and all 3 of these products have only been purchased this year, but I have already put 2 of them to one side ready to give away and the other one has been disposed of. It's not very often that I don't finish a product, even the ones that aren't that great, as I normally find some positives and benefits to make it worthwhile finishing and to be honest I hate wasting my money. The Body Shop Vitamin C Glow-Revealing Liquid Peel was rather disappointing and to be honest it's messy to use and I didn't see any results, so therefore I really didn't see any point in carrying on using it, when I have other great exfoliating and brightening products to use. The Sally Hansen Miracle Gel nail polish was another huge disappointment as I loved the colour, but it was just not viable, time wise, to be re painting my nails every 2-3 days due to the mad "crazing" that appears on the polish after a couple of days and just looks awful meaning that the polish has to be removed. 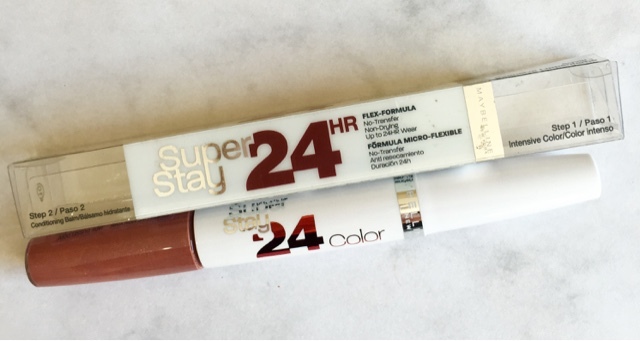 Not great considering that Sally Hansen claim it lasts for up to 14 days.I did persevere for some time before finally tossing this duo into the bin. Another product I wasted my money on was this L'Oreal AGE PERFECT Cleanser that I very recently tried and have already put it to one side. 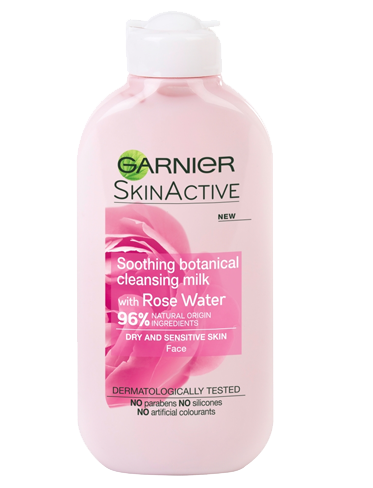 As a cleanser it performed poorly and felt very greasy on the skin and just didn't dissolve or remove my make-up very efficiently at all.